The Guitar amp parts came exactly as described. Basically everything to complete a Kustom 72 Amp minus the cabinet, reverb tank, tubes and screws. The amplifier chassis, front panel, knobs, pcbs (printed circuit boards) and associated wiring came fully assembled and tested. 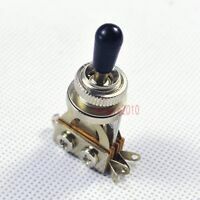 I bought the foot switch separately which conveniently came in the same box as the amplifier. The power and output transformers came unattached but had push on connectors which plugged directly into the pcbs. The mounting hardware appeared to be metric but I found that 10# 32 nuts and bolts worked well to secure the transformers to the chassis. Be advised though that connecting the transformers requires care and planning so don't rush it. Locate all the landing points first for each transformer connection before attaching them. Mistakes here will be costly!! 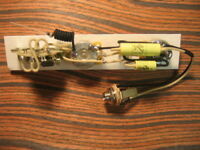 4 12AX7 preamp tubes are needed plus 4 EL34s (2 in parallel for 72 watts) for the power amp. The design has self biasing circuitry so no bias set up is necessary. I only inserted 2 of the EL34s for now so am running 36 watts. At first time switch on I used a variac and brought up the mains slowly to the unit constantly observing for sparks, smoke and burning smells none of which appeared. Also a speaker was connected at this time (don't turn on without a speaker !!). Then I plugged in my Fender Strat and hey presto .... glorious sounds. Using a pair of Marshall 2X12 cabs (set the selector to 4ohms) the amp sounds awesome. Nice clean sounds with some breakup on the Rhythm channel to mild crunch to absolute mayhem from the Lead channel. The Tremolo, Speed and Vibrato work well and when used together can create some strange effects. The tone stack with Treble, Mid and Bass is pretty standard and there are controls for Reverb and Reverb Tone but I have not attached the required spring tank yet. The foot switch selects channels, volume boost and effects. There's also an FX loop which I have yet to try with my pedals. I have a reverb tank but a digital delay in the FX loop could work for now. Next steps will be to commission a combo cabinet to house the amp with 2 12" Celestion Heritage speakers. Can't wait to gig with that. 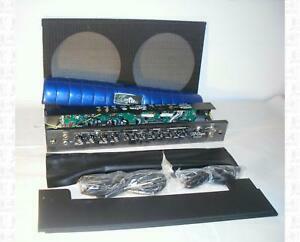 If you're into electronics as a hobby then this amp will be a breeze to assemble. If not then get an experienced technician to help you. I have bought two of these so plan to sell the 2nd completed amp at a profit to pay for the 1st..... or maybe more likely keep both and run them is stereo. So in summary, a great sounding tube guitar amp at a truly fantastic price. I highly recommended this product !!!! The 72 Coupe is a top of the line all tube amp. Designed by James Brown who designed the Peavey 5150, the Kustom Double Cross and 2 amps for Schecter; the Hellraiser and the Hellwyn. The 72 is the most traditional amp of the group. As a project it is easy to hook up the transformers, just plug in the wires according to color. All the parts to get it running are included. You just pick the tubes and the speakers. As for a cabinet, you are on your own. Im making a head cabinet because I dont have room for another 2x12. I have the Hellraiser as well which came unassembled. The Hellraiser is a high gain beast. I wanted to get the Double Cross but the transformers are hard to get. This is a great way to get into tube amps and if you to tinker. Excellent buy. Arrived in perfect shape and after assembly/tubes worked perfectly. I ordered the Ruby reverb assy for the cables and all is great! Just have to build a cabinet for the 4 10"s I want to put in it. amp works great just double check all transformer connections. you will spend around 120.00 on tubes but it still beats spending a grand on a custom 72 amp. you need to be experienced in tube amps.